Note: Sir Muhammad Iqbal, The Development of Metaphysics in Persia: A Contribution to the History of Muslim Philosophy (Lahore: Bazm-e-Iqbal, 1954), p. 172. Bibliography: Iqbal, Sir Muhammad. 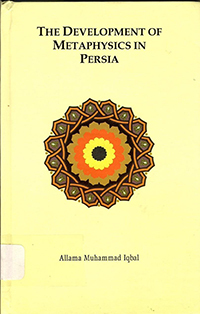 The Development of Metaphysics in Persia: A Contribution to the History of Muslim Philosophy. Lahore: Bazm-e-Iqbal, 1954.